The infamous, “Bean” in Chicago. 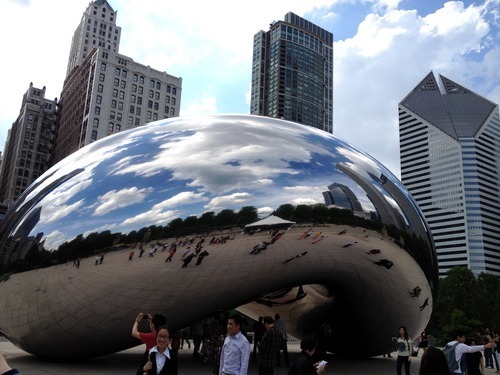 Here’s a fun fact, did you know that the Bean is actually called “Cloud Gate”? Nope i did know that. I googled it. I am just going to call it the Bean because I find it weird typing “Cloud Gate”. The Bean was sculpted by Anish Kapoor, an indian british artist. The design of it was pretty cool. 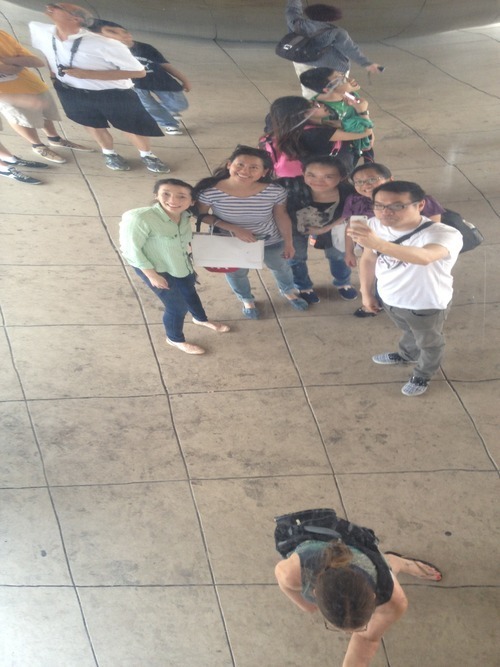 You can also see your reflection, which was pretty popular with the tourists (aka me) because you can take a picture of yourself, looking at the bean. I know…okay moving on lol. Oh, did I mention you can also go underneath the bean to take a picture? haha that’s what we did here! Hope you enjoy this piece of artwork!